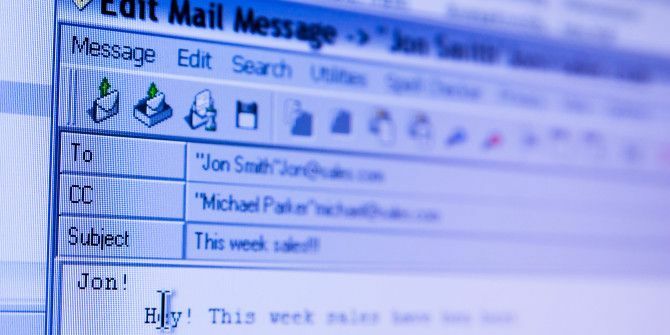 While not as popular as they used to be, desktop email clients provide some great benefits over webmail You Should Ditch Webmail for a Desktop Email Client If... You Should Ditch Webmail for a Desktop Email Client If... A few years ago, webmail was all the rave. Wonder whether it's time to switch back to a desktop email client? Look no further. We show you the merits of a local mail service. Read More , and are great if your work type demands it. While you can keep desktop mail simple without any customizations, power users appreciate using add-ons in Thunderbird 5 Thunderbird Add-Ons That Will Make it Better Than Gmail 5 Thunderbird Add-Ons That Will Make it Better Than Gmail For many years, I switched between a whole range of email clients. First I went with Outlook Express. Then I bought a new computer and decided to test the waters with Thunderbird. Once Gmail became... Read More to make their mail experience just right. Thus, it’s frustrating when an update to your favorite software changes options that you expect to behave a certain way. Multiple users have reported issues with the latest update to Thunderbird changing the way that hitting Enter spaces paragraphs; while it used to make a single space, it now double-spaces in between paragraphs. If you’d like to go back to the old spacing convention, here’s what you need to change in Thunderbird. Head to Tools > Options >, then under the Composition tab, select General. Now, find the option labeled When using paragraph format, the enter key creates a new paragraph and disable it. That’s it! Now pressing Enter when typing a message will only create one line instead of two. While you were changing this setting, you probably forgot what you wanted to say in the email. That’s why you should be using a clipboard manager Hold That Thought: 5 Reasons You Need A Clipboard Manager Hold That Thought: 5 Reasons You Need A Clipboard Manager When you think about it, copy paste is kind of weird. You copy stuff, but there's no way to see it. And if you copy over what you had, it's gone – forever. Read More ! Did this setting bother you, or do you prefer to have a new paragraph on a double-spaced line? Let us know down in the comments! Explore more about: Mozilla Thunderbird, Troubleshooting. Happy we could help you out! Thanks for this. Been driving me nuts!